إن فندق Mclaren Hotel بموقعه الممتاز في North Sydney هو نقطة انطلاق جيدة لنزهاتك في سيدني. يسهل الوصول إلى هذا الفندق ذو 3 نجوم من المطار، فهو يبعد عنه مسافة 20.Km فقط. كما يمكن الوصول بسهولة إلى Consulate General of Estonia, Consulate General Of Nepal, Fiji Consulate General. يقدم Mclaren Hotel خدمات لا غبار عليها وكل أشكال اللياقة وحسن الضيافة اللازمة لإسعاد ضيوفه. هذه بعض الخدمات الموجودة في هذا الفندق: مرافق مخصصة لذوي الاحتياجات الخاصة, تخزين الأمتعة, صف السيارات, خدمة الغرف, جرائد. في الفندق غرف نوم يتجاوز عددها 27، كلها مجهزة بعناية وجمال وبعضها مزود بـ غرف لغير المدخنين, مكيف هواء, تدفئة, مكتب, ميني بار. سواء كنت من محبي الرياضة أو كنت تتطلع لتفريغ عناء نهار صعب، ستجد خدمات ذات مستوى عالي بانتظارك كمثل حديقة. مهما كانت دواعي سفرك فإن Mclaren Hotel هو خيار ممتاز لإقامتك في سيدني. Had a pleasant stay. Breakfast was a bit expensive for what you get. Bed was comfortable and bathroom was nice. Have stayed here many times, keep coming back. Most comfortable bed. Local restaurants great. Staff very friendly. This place is very old and needs a serious renovation. I tried to plug my phone in to charge and the whole powerpoint fell straight into my hands! Highly unsafe and I will not be returning. If I have to give an award for friendly staff, this hotel gets it. Excellent service, forever helpful. Room is clean. Hotel feels a bit old, stairways narrow, but clean, although I felt that the price is a wee bit high considering that it is old and lacks facilities. Last point to note, the underground car park is very small and narrow, so it is better to park outside the hotel especially between 6pm and 8:30am. 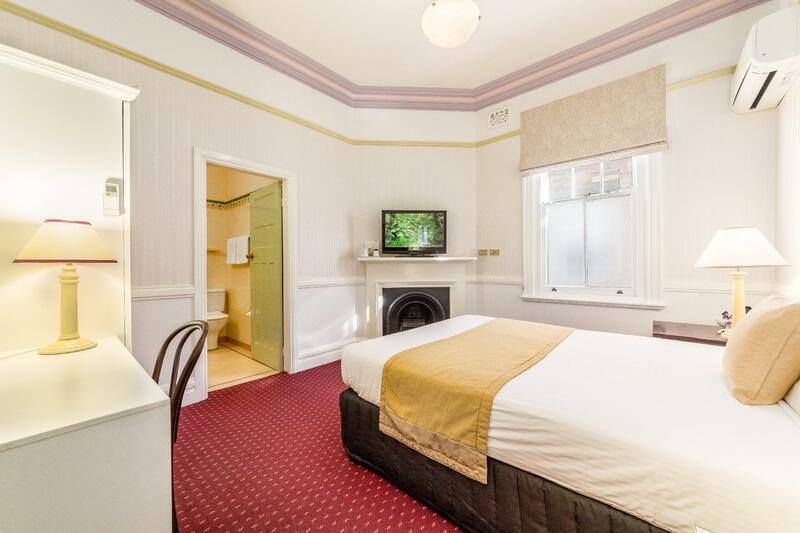 Free parking, good location, and friendly staff make this a great stay in Sydney! 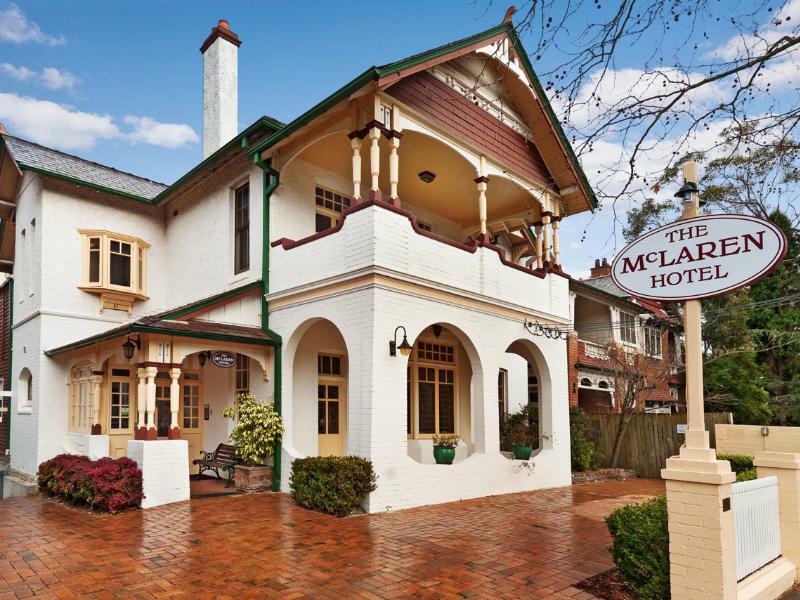 I stayed here 2 nights whilst working in North Sydney - and it was the best decision I ever made. The host turned the heater on for me so that my room was warm when I arrived; there was a wonderful continental breakfast for a minimal extra charge. I will definitely stay there again. Very helpful and friendly staff. Pleasant stay and will be back! Cleanliness could be improved (cockroach in room) and unfortunately no wifi in rooms, only in lounge area. 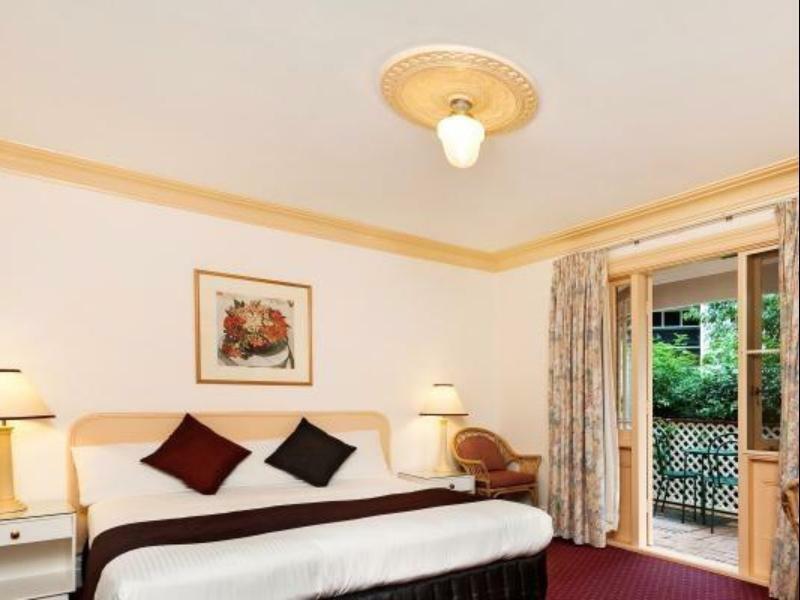 We had a second need to return to Sydney within 8 months and had no hesitation going straight to the booking page of this hotel. We really like the breakfast, location, rooms, facilities and staff. And we will return again. This small hotel absolutely oozes charm. The staff went above and beyond their role to ensure we had a wonderful stay; from taking us up to our already lit room, to calling us when our delivered food arrived and offering to bring it up to our room so we wouldn't have to leave and providing crockery and cutlery for us to use. The decor is absolutely charming and doesn't have that empty, sterile feel of the big hotel franchises. We couldn't have been happier and would recommend to both young couples like ourselves looking for a romantic weekend and older families looking for a nice cozy stay. I expected the hotel to be old and run down, especially given the price. Instead, the 1911 building was clean and well maintained with a homely art deco atmosphere. Yet, the dining area was light and airy in a modern with that was sympathetic to the old part of the hotel. The room was a modest size, but adequate for my stay. The staff were all friendly and helpful. How many Hotels today would offer you a glass of sherry in the comfortable communal lounge? Only 10 minutes walk from North Sydney Station or buses on the highway. As a bonus, it was very quiet from external traffic noise, despite it's proximity to the Pacific Highway and Miller Street. Friendly staff, comfortable bed and nice home feeling. I have a excellent stay, staff is friendly and it feel like a home than a hotel, very nice and friendly. There are few restaurant nearby, but for more variety, one can just take a bus to George Street which is only 15 mins away. The in-room internet is cheap and reliable. Hotel is good for family-friendly. Would recommend to business trips in north sydney and milsons point. Stress free, not too fancy or pricey, pleasant atmosphere with friendly and helpful staff. It is so pleasant to stay in such a gracious, charming old home without stuffy ducted airconditioning. It was very quiet, despite being only a short walk to the bus stop or station. You can take a 20 min walk to Milsons Point wharf to catch the ferry over to the city. We were very comfortable, the staff courteous and helpful. We will be back.